Mr. Michael Bastian (70) was appointed to the Board of Orient Paper and Industries Ltd. as an Independent Director on 27th October, 2009. Earlier from 25th May, 2005 to 22nd September, 2009 he was a nominee Director (for IDBI) on the board of the company. Mr. Michael Bastian is a graduate in commerce and a Chartered Accountant, Fellow of the Institute of Chartered Accountants of India. He has over four decades of experience in managing public and private sector enterprises, especially in the field of Finance and Management. Mr. Michael Bastian is a former Chairman and Managing Director of Syndicate Bank, a leading public sector bank in India. 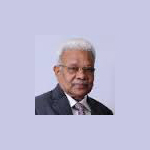 He held many top management positions in other leading public sector banks, namely, Union Bank and Vijaya Bank. He is also an Independent Director on the Board of Artson Engineering Ltd.